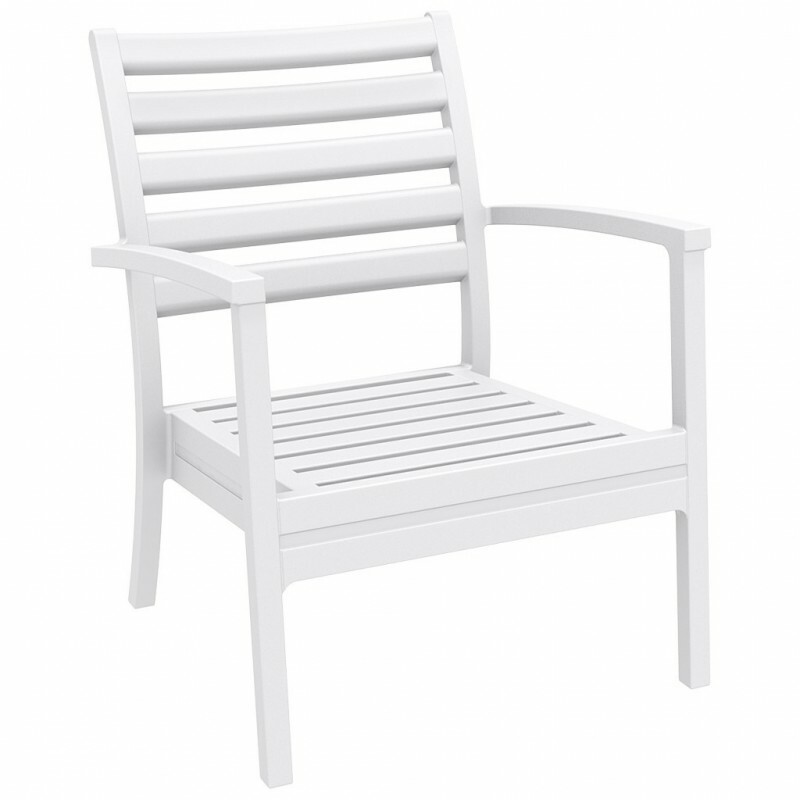 Dimensions: total height 89cm, seat height 38cm, width 71cm, depth 76cm, weight 10kg. Available colors: White, Silver grey, Dark grey, Black, Taupe. ARTEMIS XL is a comfortable and elegant stackable armchair, evolution of the ARTEMIS chair visible below in related products. From refined design, ARTEMIS XL can be used both in external and internal environments. Perfect chair in furnishing any space: from the terrace to the garden or to a refined relaxation area. Excellent solution both in private and in contract projects, where the intense and continuous use of the products is frequent and where the robustness in the long term must be a guarantee. ARTEMIS XL armchair is realized with single injection of polypropylene reinforced with glass fiber by means of air molding technology of the latest generation. Product with treatment against atmospheric agents and UV rays. ARTEMIS XL armchair it can also be completed with the elegant seat and backrest cushions, available in three different colors. ATTENTION: THE PRICE INDICATED DOES NOT INCLUDE THE CUSHIONS (not binding for the purchase). If you want to buy them CLICK HERE.